Comment: I am planning for a 5 year fix, so need a section about 160 square feet repaired by covering with Hardy board type siding. (That's on there now) It can match original work and should look fine after. That's first, with possibly other projects depending on outcome. Comment: I would like to get an estimate for I need some vinyl siding fixed. One piece fell off and some other pieces are loose. I have the piece that fell off. Comment: I need some vinyl siding fixed. One piece fell off and some other pieces are loose. I have the piece that fell off. Comment: I have T11 woods skeins and I would like to have some the bottom boards replaced. Comment: Want an estimate in replacing vinyl siding on our house. Taylors Siding Contractors are rated 4.75 out of 5 based on 545 reviews of 10 pros. 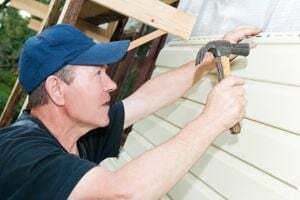 Not Looking for Siding Contractors in Taylors, SC?